Almost 3 years ago, when the nation was flirting with or surpassing $4.00 a gallon for gas, several news outlets reported that it would be a boon for cycling. As gas prices increased there would be a corresponding increase in the use of other transportation modes, like bikes, they said. Some would argue that while there was a short-term increase, as gas prices went down so do the fascination with the bicycling alternative. The question now is that because the Great Gas Price Monster as returned will that mean more people will convert to bikes or will it once again simply be a temporary blip? If high gas prices mean you drive less, does necessarily mean that people will do less or does it mean that people are slowly understanding that driving exclusively may not be the answer? Assuming that people are slowly learning to drive less and seek alternatives like biking especially to areas close to them what will it take to get people to consider bikes? The website EcoVelo also asked the question but also says the the sense of urgency to find an alternative to driving is not as pronounced as it was in 2008. 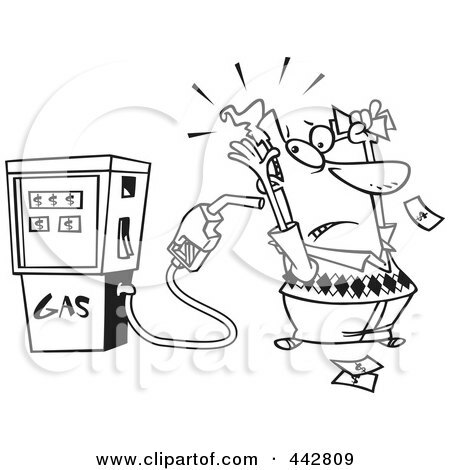 According to an article in the Huffington Post and on other websites, a large credit card company reported that drivers bought 2.7 billion gallons of gas the week of April 3, 2011, a decrease of 3.6 percent from the same period in 2010, when it was 80 cents cheaper. This is puzzling according to the author because Americans typically curb their driving only as a last resort, after sacrificing other forms of discretionary spending, like shopping for new clothes, or going to movies, concerts and restaurants. Hopefully, it's not as puzzling as the author thinks. Maybe it also means that more people are looking to do more locally and use alternatives like public transportation, biking and walking.